How Does Detention Impact the Driver Shortage Issue? Driver detention is a serious issue in the transportation industry that may be contributing to the ongoing driver shortage problem. We’ve discussed before how one of the current problems facing the transportation industry is a shortage of drivers. Experienced truck drivers are retiring, and the industry is having a tough time recruiting younger people to replace them. With long hours, difficult working conditions, and extended periods of time away from home, the younger generation is not attracted to truck driving as a career. Combined with the recent implementation of the ELD mandate, the market is being crunched with a shortage of capacity, thus in turn driving up rates. No matter what those in the industry might think about how to remedy this issue, there is another factor which is artificially contributing to the driver shortage issue and needs to be addressed as well. 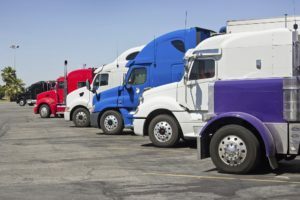 Driver delays and detention are unfortunately very common within the transportation field and has a very negative effect on the market, driver working conditions; and, ultimately, on the driver shortage issue as a whole. Let’s take a closer look at how detention affects driver shortage. The federal Department of Transportation is aware of the problems surrounding detention and has made a clear effort in studying it. The last report issued, “Estimates Show Commercial Driver Detention Increases Crash Risks and Costs, but Current Data Limit Further Analysis,” detailed the results of the latest round of research. The government found that an increase in dwell time was correlated with an increase in crash rate for that particular driver. In addition, as you might expect, increased detention times resulted in a net decrease in earnings for both the drivers and the carrier companies. However, one other thing the DoT pointed out is that studying the detention problem and making effective recommendations for change is seriously complicated by the lack of accurate industry-wide data. Without comprehensive, nation-wide data available, the government can only make generalized statements about the issue – and, in fact, the size and scope of this problem could be much greater than we think. Actual revenue losses and safety impacts could be higher, thus affecting the changes that may need to be made to address the issue properly. There are a few things we can take from this report. The problem of driver shortage goes deeper than just a lack of new drivers to replace those with experience that are retiring. Shippers also need to make a concerted effort to reduce detention times as much as possible to keep current drivers on the road and help minimize artificial shortage of space supply. Driver detention affects not just market conditions from a material perspective, but also from a safety perspective as well. Drivers who have been detained, even for a period as short as 15 minutes, are at an increased risk of being involved in a crash. While some safety and shortage issues could be mitigated through the introduction of technology such as self-driving trucks in the future, eliminating driver detention is a concrete step we can take right now to keep everyone safer. The effects of driver detention may be understated as we know it. Standardized, industry-wide data for the problem simply doesn’t exist at this point – so, if the industry wants to tackle this issue head-on, a system for gathering data needs to be put into place and studied over a period of time to accurately determine the full extent of the problem. With accurate data, the industry can then implement solid recommendations from third parties, thus making it more likely that the issue is actually fixed. This entry was posted on Friday, August 17th, 2018	at 10:04 am	and is filed under News	. You can follow any responses to this entry through the RSS 2.0	feed. Both comments and pings are currently closed.